This week, we have two conversations that shed a little light on some of the darker tales we enjoy. First, director Pearry Teo’s latest feature is The Curse of Sleeping Beauty, a reimagining of the fairy tale with a much darker twist to it. 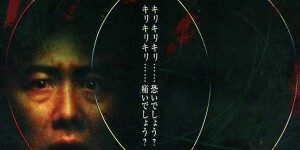 The film has an atmospheric quality to it, and Pearry talks about his vision for the “what if?” and creating the contrasts between the dream world and the underworld. 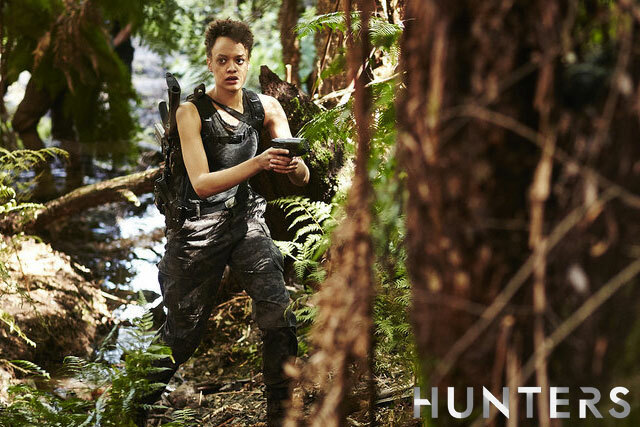 Next, Britne Oldford plays Agent Alison Regan on Syfy Channel’s Hunters, and she talks about the challenges facing her character, the different training she and her cast mates have had to go through, and the joys of being a scifi geek. The Curse of Sleeping Beauty is in theaters now, and will be available on VOD and iTunes on May 17th. Hunters airs Mondays, 10pm Eastern, on Syfy Channel. Have you seen The Curse of Sleeping Beauty? 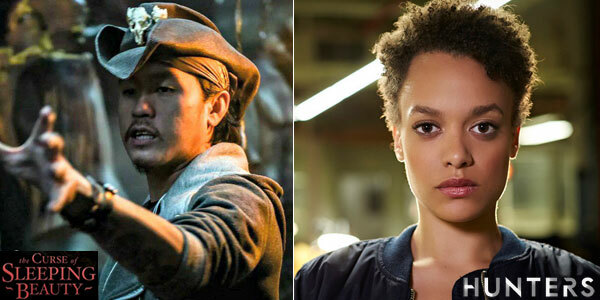 Are you watching and enjoying Hunters? Tell us what you think! Leave a message at 602-635-6976, or send Summer an email with a comment you’ve recorded! I didn’t know the Sleeping Beauty movie was around – didn’t run ads on tv every 15min across all cable channels. My check it out. Hunters — Its got me now. The first 3 eps had to build a universe then eps 4 hit. Abby — kinda creepy. Brother — Religious devotion to leader and cause or die ruler. Regan — She is a puzzle. I’m waiting for her to do something big and TV news channel sees it. Everyone is the show gets to play different stereotypes we all know. CBS (Opinion is all mine.) – The PowersThatBe at the top level are under the impression that binge viewing reduces value, BAH, BLH, YAK.. Just getting Cable ondemand to keep shows online & not expiring weekly is a nightmare. Many CBS shows are distributed by Warner Bros. — Yeah, if it isn’t DVD / blu-ray it isn’t earning logic. There is most likely lots of deals that involve streaming that cause CBS to treat online as not TV. Star Trek – Original show – cool. Spinoffs – yawn. Movies – first few are cool. Now? I don’t bother. That might explain the conspicuous lack of CBS shows on Netflix as well. I don’t think NCIS appeared there until about a year ago, and I think the CSI franchise appeared around the same time as well. Blue Bloods is on Netflix, but NCIS: LA is not. Not sure what the deal is with older NBC shows either… no L&O, but Surface is on Netflix now, as well as USA’s The 4400. The Dead Zone was removed from Hulu a few months back, but so many shows from Syfy, USA, and NBC just aren’t to be found anywhere. And don’t get me started on why that piece of crap Law & Order SVU can be found everywhere, when the much better original series and Criminal Intent were removed from Netflix 2 years ago and haven’t been seen since. It’s frustrating to me that some stuff that is available is on Amazon Prime, while different stuff is on Netflix and yet more different stuff is on Hulu with seemingly random expiration times. For instance, Stitchers Season 1 had stayed on Hulu since last year, but sometime towards the end of Season 2, it disappeared, and now the Season 2 episodes are “rolling off” the availability list. I was hoping that Constantine would return to Hulu, since it did return to both iTunes and Amazon, but that hasn’t happened yet (NBC show, so I kinda expected it). Yet Lucifer stays there in its entirety.